Heritage Group meeting of March 21, 2019. Riva Harrison, proud Winnipegger and RRC alumnus, only joined our staff 2½ years ago. But her RRC roots go back to her childhood. Some of us remember her dad, Gerry Harrison, a former instructor in RRCC’s Civil Technology. After graduating from CreComm, Riva started her career in journalism and public relations. Now, as Executive Director, Strategy and Communications, her main focus is marketing and community fund-raising. 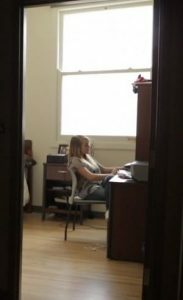 When the position was posted, she thought, “This is it; my dream job since I was a kid!” Now she employs CreComm grads herself and raves at “how awesome” they are. RRC has an incredible story to tell. We fuel this economy and get the job done for students, their families and the community. To help RRC move forward in a time of growth and new technologies we need to fund-raise. In doing so we need to create brand awareness and tell our stories, to invest money in our future. If we are to grow, prosper and modernize, we need other sources of funding so that we can continue to meet the needs of industry. 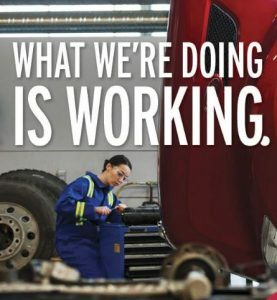 RRC is guided by its five-year Strategic Plan, developed in 2016. 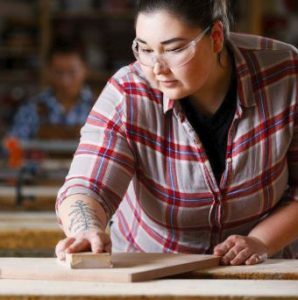 Manitoba is home to Canada’s largest Indigenous population, and they are underrepresented in post-secondary education. RRC should be their educational institution of choice, especially the downtown campus situated within Winnipeg-1, the school division with the city’s largest Indigenous population. RRC is one of the most affordable and accessible posts-secondary institutions in Western Canada. There are 3 elders on staff, with counselling and other supports available. Many Indigenous students face unique challenges, often relocating from remote communities with no housing, day care, or money for food. We want these students to come to RRC and to graduate. International students also have unique challenges, such as language. Yet they have some of the best graduation rates. Very driven, hardworking, and often the first in the family to attend post-secondary, they make a diverse and interesting population. Many of our new programs are ACCESS Model (for low-income residents) or Learning Pathways (that recognize prior informal and non-formal learning) initiatives. RRC has the largest bursary program of any college in Canada. Students can get support right out of high school. RRC assists with employee career development. Fundraising is supporting initiatives to decrease our environmental footprint, such as the environmentally friendly Paterson Global Foods building. This and other renovated buildings in the Exchange District Campus, made sustainable with green energy and technology, also revitalized neighbourhoods. Just look at the number of new restaurants to open in the area. The new Skilled Trades and Technology Centre (STTC) on the Notre Dame campus is an amazing building. It is a “living lab” that will allow us to instruct the next generation how to be environmentally friendly. RRC works very closely with industry in training and academics, with work placements and applied research. A new Technology Access Centre will be announced soon. Part of a federal government program, it underlines our credibility in applied research and our success in working with industry. Both the Jets and Moose logos were recently given a redesign in honour of Manitoba’s Indigenous communities and cultures. Incorporating the artwork and symbolism of several Indigenous cultures, the logos were designed by RRC graphic design student Leticia Spence. Our students are collaborating so much with industry that we can’t track it all. 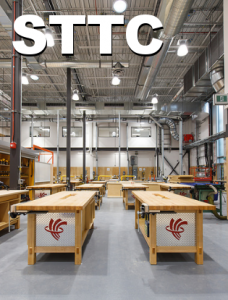 The STTC is an amazing centre and a signature piece for RRC. It represents modern education and has increased training in the trades at the Notre Dame Campus by 30%. Its shop space and classrooms can accommodate some 1000 students per year in high demand trades and technologies. Located at at Paterson GlobalFoods Institute (PGI), it started small with products that we created and that are now sold in stores. Food science and chefs come together to create healthy, innovative and tasty food. The 11th floor is a specialized research space. The finishing touches are going on now and it will open this fall. It is already running. New initiative to be announced soon as part of a federal government program. RRC has gained credibility in applied research. We can attract industry to work on projects and have been successful in this approach. 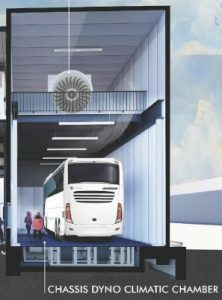 This is the latest addition to the Jan den Oudsten Vehicle Technology and Research Centre (formerly known as the Heavy Equipment Transportation Centre), renamed to honour the founder of New Flyer Industries. Jan den Oudsten considered his time in Winnipeg the best of his life. His $1.5 million donation is one of the largest gifts the college has ever received from an individual donor. MotiveLab™ contains a climatic chamber with the ability to test vehicles, such as tundra buggies, in extreme weather conditions — from -40C to +50C — while under full load conditions. An excellent place for industry to test its products, students and researchers can work side-by-side on equipment that will be used across North America. Already under construction, this $95-million, 100,000-sq. ft. facility on Elgin Avenue is slated for completion in the fall of 2020. Watch a video of the design at vimeo.com/291789607. HG members were very enthralled by Riva’s presentation. This is tricky as it would have to be subsidized for students to be able to afford it. Housing has to happen, but not sure that RRC can drive it. The Public Safety Building might be developed for affordable housing, but not by RRC. Programs are looking to improve training. 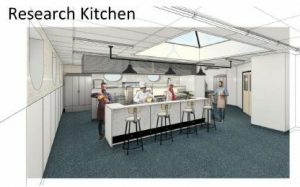 New open designs in buildings facilitate collaboration and a more interdisciplinary experience. Students will be able practice skills, as well as speak, produce papers, etc. RRC has good relationships with both the U of M and the U of W, and continues to work collaboratively with them. A good example is our new accounting program. And many university grads continue with a program at RRC. We are taking university grads and giving them hands on education. The Nurse Prescriber Program: nurses are educated to be able to prescribe medicines. New technology for genomic testing which has wide scale industry application. 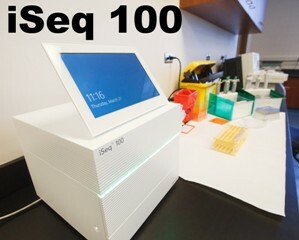 Not much bigger than a microwave, the iSeq100 allows for improved DNA mapping. Lab techs and others will be trained on the new technology. Looking at digital marketing, face to face, better use of technology and social media. Facebook is huge. Indigenous students use Facebook heavily, and RRC has filled many programs by advertising on Facebook, but we need to do more. RRC needs better links with high schools. Awards have doubled, from $1½ to $3 million. The RRC brand has successfully attracted some big new donors. The distribution of scholarships is a challenge: timing of acceptance, application date, matching dollars from the province and other barriers. Thousands turned out at a recent RRC open house for indigenous students, where they were helped to fill out bursary forms. Riva’s enthusiasm with regards to RRC and her job was most catching. Her presentation left HG members feeling that RRC’s future is both bright and exciting.